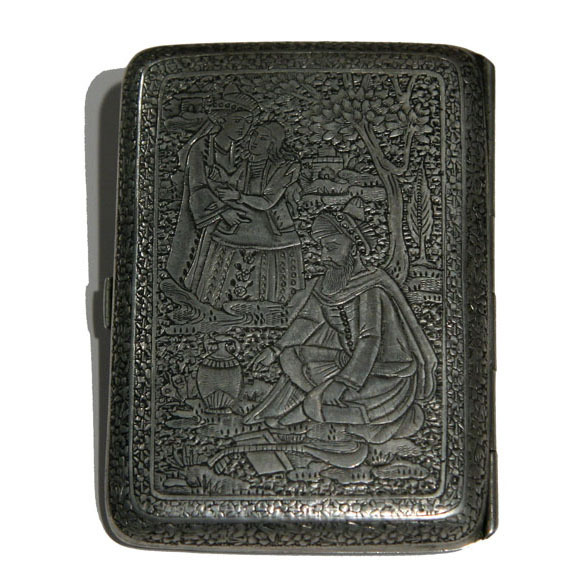 A Qajar Dynasty Persian sterling silver cigarette case depicting Omar Khayyam . Hand chased in fine detail. Signed in Farsi in the interior and stamped with "84%". This box was most likely exported to the Russian market in the 19th century.